Is exercise damaging my heart? Is it linked to the actual exercise or something else? What might you do to mitigate the risk, but still get the benefits of being fit? It really seems that the evidence is starting to stack up from case studies, to epidemiology, to mechanisms. Let’s explore the issues. 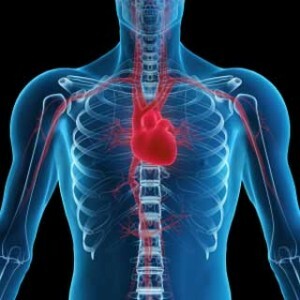 A recent study published in the European Heart Journal shows several things. Actually, there is a really great comment in a blog by cardiac specialist Dr John Mandrola. To sum up (that is, to skip the abstract and comments below and get straight to the next point), there is strong associational evidence that hard and prolonged endurance exercise may damage the heart, which results in sometimes serious heart problems. The overall risk is doubled compared to non-athletes, but the overall risk is still only around 2%. Aims We aimed to investigate the association of number of completed races and finishing time with risk of arrhythmias among participants of Vasaloppet, a 90 km cross-country skiing event. Methods and results All the participants without cardiovascular disease who completed Vasaloppet during 1989–98 were followed through national registries until December 2005. Primary outcome was hospitalization for any arrhythmia and secondary outcomes were atrial fibrillation/flutter (AF), bradyarrhythmias, other supraventricular tachycardias (SVT), and ventricular tachycardia/ventricular fibrillation/cardiac arrest (VT/VF/CA). Among 52755 participants, 919 experienced arrhythmia during follow-up. Adjusting for age, education, and occupational status, those who completed the highest number of races during the period had higher risk of any arrhythmias [hazard ratio (HR)1.30; 95% CI 1.08–1.58; for ≥5 vs. 1 completed race], AF (HR 1.29; 95% CI 1.04–1.61), and bradyarrhythmias (HR 2.10; 95% CI 1.28–3.47). Those who had the fastest relative finishing time also had higher risk of any arrhythmias (HR 1.30; 95% CI 1.04–1.62; for 100–160% vs. >240% of winning time), AF (1.20; 95% CI 0.93–1.55), and bradyarrhythmias (HR 1.85; 95% CI 0.97–3.54). SVT or VT/VF/CA was not associated with finishing time or number of completed races. Conclusions Among male participants of a 90 km cross-country skiing event, a faster finishing time and a high number of completed races were associated with higher risk of arrhythmias. This was mainly driven by a higher incidence of AF and bradyarrhythmias. No association with SVT or VT/VF/CA was found. It’s pretty simple: extreme endurance exercise, done over the long term and with great intensity, increases the risk of arrhythmia. There’s no refuting this strong association. These observations are both plausible and consistent with prior studies. There should be no surprise when an endurance athlete shows up with atrial fibrillation or some other arrhythmia. We are not surprised when masters-aged athletes suffer from other inflammation-induced maladies, like overuse injuries, heart attacks, infections, and even divorce; why are we surprised they get AF? But context is important. Previous studies have shown Vasaloppet finishers enjoy lower overall mortality. They smoke less, carry less body fat, and report better eating habits. This bolsters the idea that the lifestyle of endurance racing confers good overall health to most participants. Exercise is good. That observation remains unchanged and unchallenged. In the US, we would do better with an epidemic of over- rather than under-exercise. It’s also important to emphasize that association is not causation. We don’t know whether excessive exercise alone caused the arrhythmia episodes. There are too many possible confounding variables to make a causation link. And . . . just because intense and long-term endurance exercise increases the risk of arrhythmia does not mean athletes should avoid a sport they love. These studies don’t tell us to recommend against endurance exercise. They simply inform both doctor and athlete of possible consequences. There are always trade-offs. As physicians and teachers, knowledge of the association between chronic inflammation and disease might help us give better advice to our athletic patients. My guess, and it is just a guess, I am no coach, is that the same things that help an athlete avoid AF might also make them faster. Do you think getting adequate rest and recovery improves VO2max? Do you think being content with something less extreme than an Ironman or cross-country ski marathon might be antiarrhythmic? What’s wrong with a fast 10K? 2. Is it linked to the actual exercise or something else? This is an important point because the study above is only correlational. However, there is enough mechanistic evidence developing to show that the actual exercise itself might be the cause. A study in forty endurance athletes showed significant signs of right ventricular damage following an endurance event lasting between 3 and 11 hours. 3. What might you do to mitigate the risk, but still get the benefits of being fit? Overall, I would say that these studies and the broader developing evidence shows that excessive and extreme endurance training increase your risk of heart problems. Like anything else, that’s a population measure. What it actually comes down to is whether it affects you or not. That’s binary, not probabilistic. You will either develop a heart problem or you will not. So what do you do? If you, like me, like the exercise; you understand the benefits are many and done well outweigh the risk, I would say reconsider how you train. I wrote about this is in a previous blog on polarised training and fat adaptation. Both are likely to reduce the oxidative stress on the body and the time you spend in the prolonged hard cardio zone. Remember, loads of oxidative stress, glycogen burning, and reactive oxygen species has numerous effects on the body; especially the immune system, tissue damage, and DNA damage. This results in a longer recovery time, more sickness, and higher risks of longer term problems. Exercise is still overwhelmingly good for you. We have a population epidemic of marathon sitting, not marathon running. But…exercise taken to extreme might damage your heart, and you won’t know you have done damage until it’s too late. New training and nutrition techniques may reduce the stress on the heart and body because you go slower more often, and only occasionally really fast (and probably get fitter), and you burn mostly fat (with your heart using ketones as a fuel which it prefers). So, stop flogging yourself at training, eat less carbs – especially sugar, and eat more healthy fat. You might even be faster! You also certainly will be helathier.